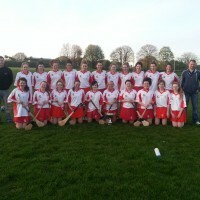 Monageer Boolavogue Intermediate camogie team played St. Ibars/Shelmaliers in the 2013 Final on Thurs 24th April. St Ibars/Shelmaliers 2 3 Monageer/Boolavogue 2 6. online Motilium The cup was presented to the captain of Monageer/Boolavogue team by Rose Breen who said it was a great honor to win the cup two years in a row. The captain thanked everyone and wished the best of luck to St Ibars/Shelmaliers team and said that we would probably meet again in the new season. Well http://lipitorgeneric-online247.com/ done to all the girls who did a great job and also the mentors. There was no winner of last nights GAA Lotto , the numbers were 7,14,22,27. 3 match 3’s Rosemary O’ Loughlin, R,R & G Sweeney, and Helen O’Sullivan. There was no winner of last nights Lotto. the Lotto numbers were 7,14,22,27. 3 match 3’s Rosemary O’Loughlin, R,R & G Sweeney, and Helen O’ Sullivan. Next draw will take place on Tuesday 29th April in the clubhouse. Jackpot €5,000. 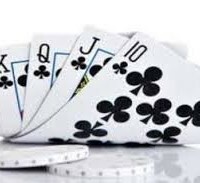 Our Annual Poker Classic will take place in Monageer Hall on Good Friday the 18th April at 9.00pm. Entry is 20 euro and refreshments will be served. There was no winner of this weeks Lotto .